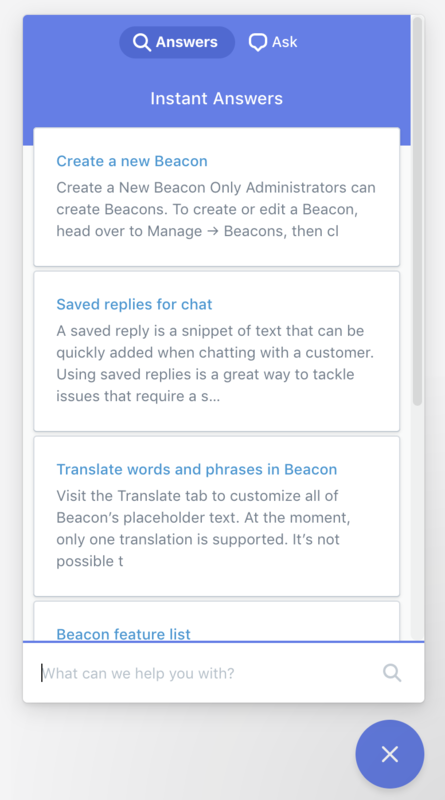 On January 29, 2019, we launched a pretty big update to Beacon that includes new features and an updated design. Let's dig into the specifics! Every Beacon has a goal. Sometimes your goal is to talk with more customers and gather more feedback. Sometimes your goal is to push a more self-service path so customers can find answers faster. We created Modes so you can align Beacon's user experience with your goal. Keep in mind that Modes are only part of the mix when you have Docs and Messaging (Email or Chat) enabled. Self Service - Visitors won't see any contact options until they've viewed at least one article or had an unsuccessful search. Neutral - This mode puts Docs articles and contact options side-by-side. Visitors can choose their own adventure. 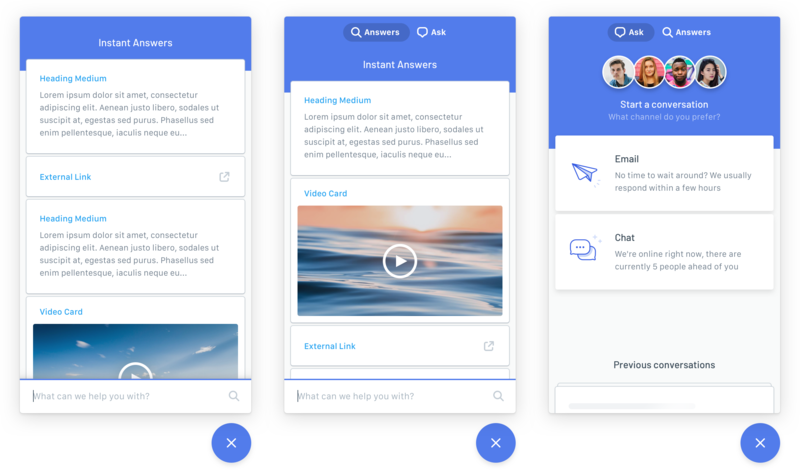 Ask First - This mode prioritizes the Email/Chat options first and foremost, but visitors can also access and search Docs articles in a single click. 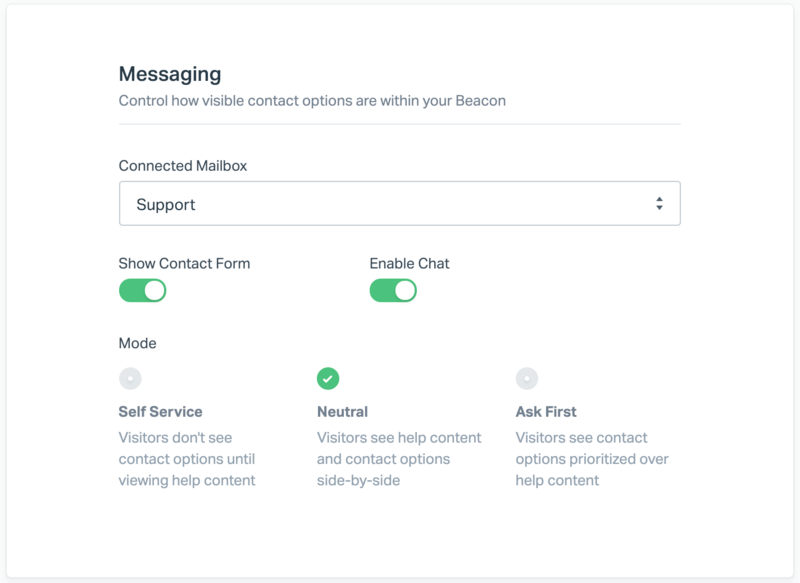 If you created a Beacon before Jan 29, 2019, it will default to Neutral mode. New Beacons created after Modes launch will default to Self Service mode. Self Service is definitely the way to go if you'd like to increase your self-service answer rate. "What channel do you prefer?" The updated design in the Answers screen displays articles in individual tiles that are more pronounced. For a more intuitive set up, customers will find their Previous Messages under the Ask screen. 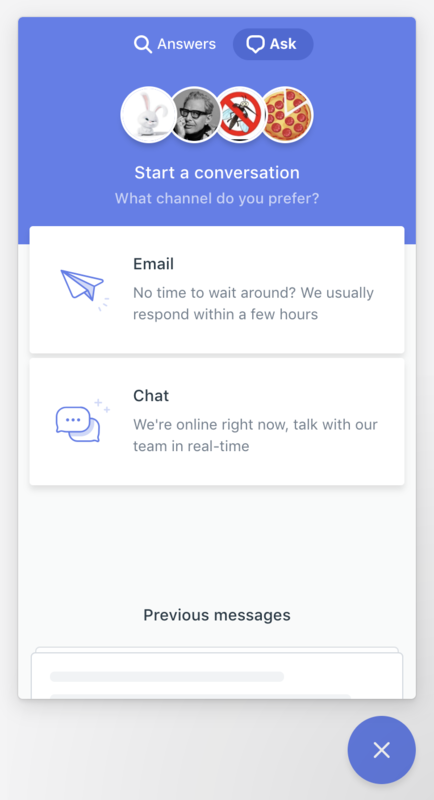 With 'Get in touch' gone, you can default to the Ask screen with the Ask First mode, or customers can navigate to the Ask screen at any point.